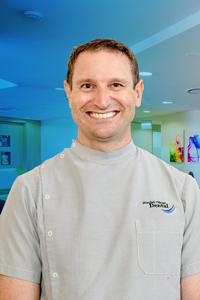 I’m Marc Miller, the owner of Nundah Village Dental. I am passionate about dentistry and am proud to be working with a team that shares my vision. We have five dentists here, and a fantastic support team that each bring something special to the patient experience during an appointment. Coming into my 18th year here and with over 25 years of experience in dentistry, I know that long term preventive care is the most effective way to keep your teeth for life. You have to have trust in your dentist and develop a long lasting relationship. My last filling was in 1985 and it is our mission to try and achieve a similar goal for every patient that walks through our door. I never miss my check and cleans here, and I trust every single person I work with, from our receptionists, dental assistants, and dentists. We all aim to make your experience enjoyable, friendly and safe so you will have the confidence to come back year after year. For the unexpected problems, emergencies or concerns that come up, we don’t charge for consultations in between your regular recall visits. We want you to have the peace of mind that we care about you. There are always options that we are happy to discuss. Welcome to Nundah Village Dental.